Under the unforgiving sun of southern California’s Colorado Desert lies Slab City, a community of squatters, artists, snowbirds, migrants, survivalists, and homeless people. 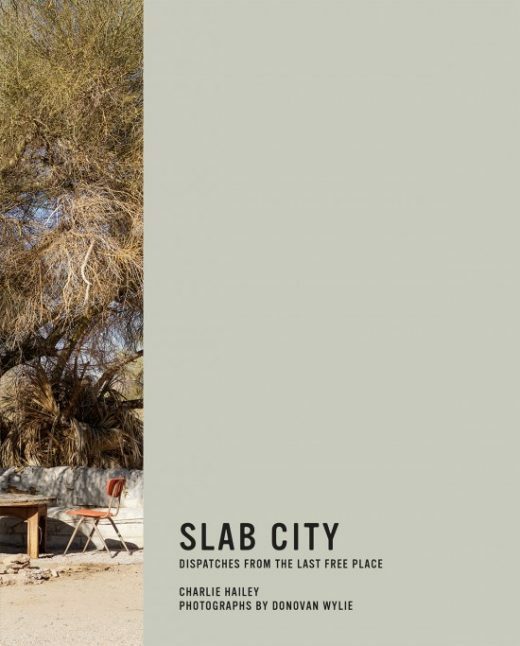 Called by some «the last free place» and by others «an enclave of anarchy,» Slab City is also the end of the road for many. Without official electricity, running water, sewers, or trash pickup, Slab City dwellers also live without law enforcement, taxation, or administration. Built on the concrete slabs of Camp Dunlap, an abandoned Marine training base, the settlement maintains its off-grid aspirations within the site’s residual military perimeters and gridded street layout; off-grid is really in-grid. In this book, architect Charlie Hailey and photographer Donovan Wylie explore the contradictions of Slab City. At Camp Dunlap in the 1940s, Marines learned how to fight a war. In Slab City, civilians resort to their own wartime survival tactics. Is the current encampment an outpost of freedom, a new «city on a hill» built by the self-chosen, an inversion of Manifest Destiny, or is it a last vestige of freedom, tended by society’s dispossessed? Officially, it is a town that doesn’t exist. Research for this project was supported by the Graham Foundation for Advanced Studies in the Fine Arts.